Locate plays in our catalogue by awards they have won. 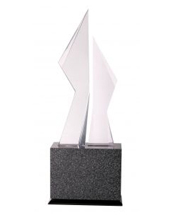 Click on an award to see previous winners and to find out more about the award. Bruntwood Prize for Playwriting (UK) The Bruntwood Prize for Playwriting is the UK's biggest national competition for playwriting. It is the search for great new plays and great writers. David Williamson Award for Excellence in Writing for Australian Theatre The David Williamson Prize is awarded for excellence in writing for Australian theatre to the most outstanding winning script from the AWGIE Award theatre categories. Kate Challis RAKA Award Prestigious national awards for Indigenous creative artists, to be awarded to dramatists on a five-year cycle basis. Louis Esson Prize for Drama Part of The Victorian Premier Literary Awards. Queensland Literary Awards The Queensland Literary Awards (QLA) were established through significant community support in 2012 and is Queensland’s most significant suite of literary prizes. Sidney Myer Creative Fellowships First awarded in 2011, the Sidney Myer Creative Fellowships provide unrestricted grants of $160,000 over two years to individual artists, arts managers and thought leaders in the humanities. Specific outcomes for the Fellowships are not required. Victorian Premier’s Literary Awards - Prize for Drama [https://www.wheelercentre.com/projects/victorian-premier-s-literary-awards-2019 The Victorian Premier’s Literary Awards] were inaugurated by the Victorian Government in 1985 to honour Australian writing. Wal Cherry Best Unproduced Play of the Year Given annually for new Australian playwrighting this award honours the achievements of Wal Cherry, an Australian theatre director and academic.